Are you looking for an affordable walk-in clinic in Hickory, NC? 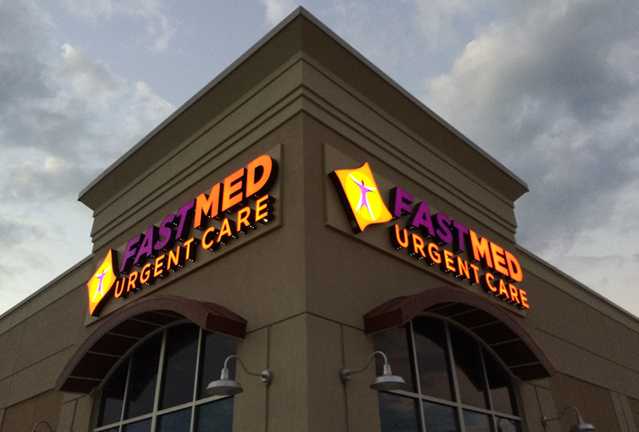 Look no further than FastMedUrgent Care. Our state-of-the-art walk-in clinics feature high-quality equipment and on-site labs, making us the best choice for quick and convenient care, all at an affordable cost. Urgent Care – We offer urgent care services to address non-life threatening illnesses and injuries. No appointment needed. Family Practice – Doctor’s office hours don’t always fit your day-to-day schedule. That is why FastMed provides family practice and general medicine services outside of the normal 9 to 5 schedule. Sports Medicine – We offer on-site services for sports related acute injuries, chronic issues, and other sports related medical concerns. Occupational Health Services – Partner with us to provide medical care to your employees, available during hours that suit their work schedule. Physicals and DOT Physicals – We provide physical exams for children, teens, and adults as well as DOT physicals for bus and truck drivers. Flu Shots & Vaccinations – Protect yourself against disease or the flu by getting a flu shot or vaccine at FastMed. Urgent Care for Injuries and Accidents – Our staff can address your non-life-threatening injuries and accidents, provide treatment, and refer to a specialist, should one be required for further treatment. FastMed understands that health care costs can be expensive and unexpected. We are dedicated to providing affordable walk-in clinic care. Patients who qualify for our FastMed Discount Program will be covered at any FastMed location for only $35. Part of being an affordable walk-in clinic means accepting all major insurance plans. You can verify that your specific insurance plan is accepted by clicking here. Visit our new Hickory, NC clinic at Conover Boulevard West and Startown Road to be treated today.